Paresh Baruah was one of the six founding members of the United Liberation Front of Assam, formed in April 1979 with the stated aim of establishing a “sovereign, socialist Assam”. He was commander-in-chief of ULFA’s military wing, while the political wing was headed by chairman Arabinda Rajkhowa. Baruah was among the first group of insurgents from India who were trained by the People’s Liberation Army of China and the Inter-Services Intelligence of Pakistan. Under Baruah, ULFA recruited around 5,000 people to launch an armed struggle against India and expanded presence to Bhutan, Bangladesh and Myanmar. ULFA initially enjoyed widespread public support, but a series of attacks on security forces, political leaders and infrastructure in the late 1980s made it one of the most dreaded militant groups in the northeast. In 1990, India banned the group and began a military offensive. Several top ULFA leaders, such as vice chairman Pradip Gogoi and general secretary Anup Chetia, were arrested in a few years. Rajkhowa surrendered in 2009. 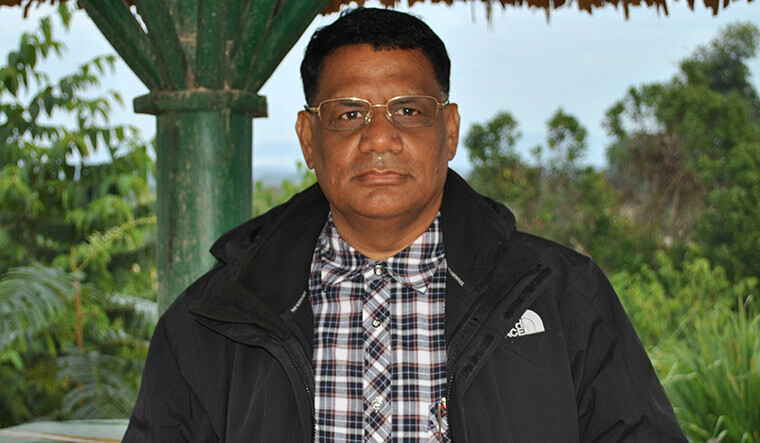 Baruah is ULFA(I)’s commander-in-chief and vice chairman. He said he was unfit to become chairman as he was “uneducated”. After he formed ULFA(I), he named a UK-based doctor, Abhizeet Asom, as its chairman. Asom’s real name is said to be Mukul Hazarika, and he is reportedly associated with a human rights group called Assam Watch, which speaks of high-handedness by the Indian Army in the northeast. A former football player, Baruah is now grooming a new generation of insurgents who are capable of using both guns and diplomacy. “We are moving in a new direction and we will win our war against India,” he said. The Assam chief minister recently told THE WEEK in an interview that he would like you to surrender. I will not surrender. I can’t betray the cause for which I joined this struggle. I have no issues if the government of India offers to hold talks with me. The Assam government would have no role in it, as it is the Central government that has to deal with me. I would also like to make it clear that the government of India would have to set aside the Indian Constitution while talking to me. But why are you dismissive of the Assam government? They are your own people. Yes, they are. Assam is the land where I was born. But I am afraid the local government is not empowered to talk about issues like sovereignty. 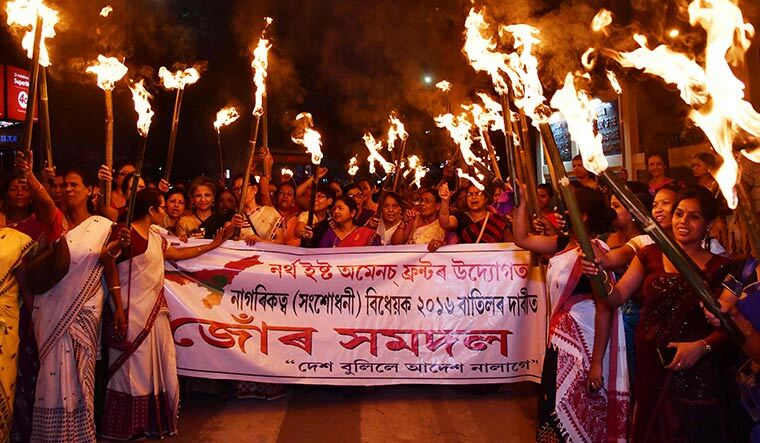 What is your take on the National Register of Citizens in Assam? It is a bad process. I do believe that the grievance of the people of Assam is genuine. But what is the point of [revising the register] now? The NRC is being [revised] specifically to create divisions between Hindus and Muslims, and Assamese and Bengalis. Do you see a sharp decline in the number of ULFA revolutionaries? Of course, the number has gone down drastically. Those who oppose [the government] are being oppressed. They are tortured. Is popular support enough to bring about a revolution? No. These days you need continuous international support. You need to enjoy the trust of other countries and civil organisations. The Indian military is two times bigger than Pakistan’s. But Pakistan enjoys international support. Look at the LTTE (Liberation Tigers of Tamil Eelam). It enjoyed international support, so it succeeded. When it lost that support, it lost the battle as well. Is ULFA(I) part of such an international drive? Yes, that is the reason behind our formation of the UNLFW of Southeast Asia. We are reaching out to countries and international bodies like the United Nations, to boost opinion in our favour. We tell them about our struggle that has been going on for four decades. I am not educated, as I did not study in an institution. My ability was confined to military operations. But, these days, I am reading books, manuals and reports, and meeting foreign delegations every month. You are wanted in India and Bangladesh. Yes, therefore I need to study the operations of Indian intelligence: How much they have progressed and how they are snooping on us. It’s not that we have abandoned military operations. Each day, we are evolving our tactics. All our units, be it in India or Myanmar, are intact. We are getting a lot of international support. You were a sportsman. How are you spending your time these days? Well, I must admit that I have no time for amusements like before. No time for football or fitness training. We are now planning, planning and planning. We are out to give a severe blow to the Indian military in the northeast. About India and Bangladesh wanting us, I must say I am very safe and relaxed where I am now. There is infighting in the NSCN(K), your ally. There is no infighting. In fact, I suggested that they change their leadership and bring in young faces who have the hunger for change. I also told them that such people need to be chosen carefully, keeping in mind they would not betray [the cause]. My proposal was accepted. The NSCN(K) took the first such step and changed its organisation completely. Others will follow. You need honest and idealistic young leaders who would connect with the people in India. Also, they could engage in a bit of diplomacy internationally, because this generation is far more educated. Will your organisation also follow suit? Will you hang up your boots? My organisation cannot be an exception. If it wants to survive, ULFA(I) would have to bring in a new leadership, and that is exactly what we are doing. We have our chain of command, which remains intact. Our units in Assam and other parts of the northeast are doing very well. Many new faces have joined us from different parts of the northeast. Very soon, a right person would come up as a prospective leader of our organisation. Sooner or later, you will hear that I have stepped down. In fact, I will have to hang up my boots. I am 60 and I can work for another ten years. Can’t there be a political solution to the issues in the northeast? I am afraid there is none. Because India would not accept our demand for sovereignty. I, along with others, have reached a point of no return. I cannot be like others who betrayed our people. Unlawful accession without plebiscite is a crime. Let India hold a plebiscite in the northeast. But Assam has elected a BJP government. What has democracy given to India? Go to China. It’s the second richest country in the world. China determines the strength and weakness of a child, and brings him or her up accordingly. Go to North Korea. Even they are better than us. In India, you will see prohibition on beef-eating and splurging on festivals. How is China dealing with you? We have a very cordial relation with China, and their friendship is unparalleled. But we need to understand China’s compulsions. They have become a powerful nation [that is present] in all powerful forums of the world. So we cannot expect them to do everything we ask for. They can do certain things, but they cannot do everything for us. We understand that situation, so we are reaching out to other nations as well. The Indian government has put huge pressure on Myanmar to prevent insurgents from using its land. India has given a blank cheque to Myanmar, like they gave a line of credit to Bangladesh. I don’t know how much money India has offered Myanmar. Maybe thousands of crores of rupees. Bangladesh acted tough on us because of betrayers in our organisation. The situation in Myanmar is not good now, but it is not as tough [as it had been in Bangladesh]. There is nothing much to worry.